Have you ever listened to an Ivy League Admissions presentation, wondering what the presenters were really trying to tell you about how to get into college? As a former Dartmouth Admissions Officer, I can help translate. 1. Standardized tests are still important. Yes, it is totally true that an increasing number of schools, including selective ones, are devaluing or eliminating standardized tests. However, the Ivies still require and use the SAT or ACT. The bottom line is that these tests, however controversial they may be, are seen as indicators of a student’s ability to compete academically against the brightest students in the world. You might be the strongest student in your high school, but they look to the test to better understand how you compare on a national and international level. 2. You need good grades and challenging courses to be in the running. That being said, outstanding test scores (in isolation) won’t get you admitted to an Ivy. Admissions committees also want to see that you have challenged yourself and performed well over time. This doesn’t mean that you need a 4.0 – and the exact GPA actually matters less than you think, since there is such wide variation across high schools. Some weight honors courses, others don’t, some grade on a curve, etc. No matter what the metric, you do need to get strong grades across all subjects. 3. Remember that you are going to college to learn. Please don’t underestimate the questions about what you actually want to learn! Ivy league schools want to admit students who are genuinely excited about academics, and who will contribute to the classroom and the intellectual community. The actual school part of your application shouldn’t be an afterthought, even if you are (really) more excited about the social and extracurricular aspects. 4. Your essays need to reflect your voice. There is SO much misinformation about the essays. One of my biggest challenges as a consultant is convincing students (and their parents!) that the best essays are age appropriate and truly written by the student. It’s critical to pick the right topic, one that actually reflects their thoughts, priorities and values. After that, please be genuine and let your personality shine through. Overly philosophical, scripted, stilted essays just don’t work. 5. There is a lot of subjectivity in the process. Ivy League admissions aren’t overly formulaic. The officers are chosen because they represent a wide variety of opinions and perspectives, and they apply these lenses extremely thoughtfully. However, this diversity of thought means that it is literally impossible to craft an application that will resonate equally with everyone. One reviewer might love your story, another might find it unremarkable. The best plan is to submit an application that accurately represents your personality and passions, but please understand that luck plays a role. 6. Think about what you will contribute. Ivies are fortunate in that they can choose from so many exceptional candidates. Often, what ultimately moves an applicant into the admit pile is their perceived ability to make a positive impact on campus. Please talk specifically about how you will get involved and contribute to the community, socially and through extracurricular activities, as well as academically. 7. Don’t internalize it if you don’t get in. There simply aren’t enough seats in the class to accommodate all of the incredibly bright, qualified and deserving applicants. Ivy League Admissions Officers see these applicants attend (and thrive at) so many other terrific schools. They understand that the cohort that you are likely to encounter at many of these programs is every bit as impressive and wonderful as the one at their schools. 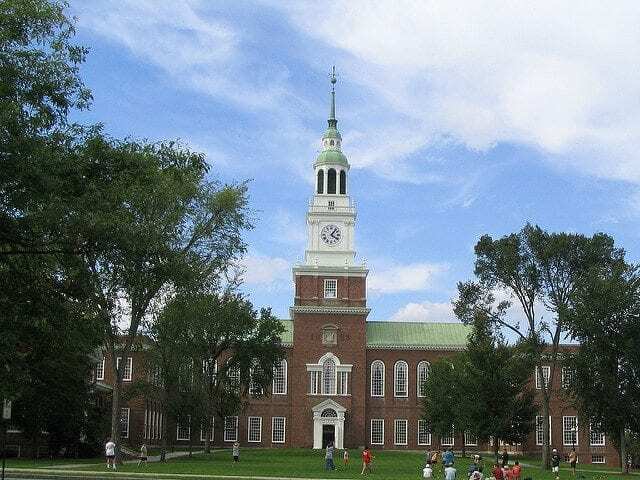 Karen Marks has more than 12 years of experience evaluating candidates for admission to Dartmouth College and to the Tuck School of Business at Dartmouth. Since founding North Star Admissions Consulting in 2012, she has helped applicants gain admission to the nation’s top colleges and graduate schools, including Stanford, Harvard, Yale, Penn, MIT, Dartmouth, Columbia, Northwestern, Chicago, Berkeley, Duke, Cornell, Michigan, NYU, UNC, UCLA, Georgetown, Middlebury, Wesleyan and more. Over the last three years, clients have been awarded more than $14.6 million in scholarships, and more than 95% have gotten into one of their top choice schools. She is also the mother of three, including a college freshman, a high school sophomore and a seventh grader. She lives in New Hampshire with her husband, kids, 2 dogs and 3 cats.